Regina De Vera began her theater life with musicals by participating in Summer Musical Theater workshops for Repertory Philippines. She eventually shifted from an interest of American Musical Theater into Western classics and straight plays. This shift led her to join Tanghalang Ateneo when she was admitted to the Ateneo de Manila University with a Bachelor of Fine Arts major in Theater Arts. Her affiliation with Tanghalang Ateneo has opened up opportunities like being chosen as one of the representatives of the Philippine Delegation for the Asian Pacific Expo of Theatre Schools UNESCO ITI hosted by the Shanghai Theatre Academy in 2009. After four years of intense work and study she eventually graduated with academic honors as well as a special award such as the Loyola Schools Award for the Arts (Theater Arts). Soon after graduating from college (2010) she was accepted as one of the scholars of the Tanghalang Pilipino Actors’ Company, the resident theater company of the Cultural Center of the Philippines where she became a full-time Member. Her affiliation with Tanghalang Pilipino has awakened a new sensibility and awareness with regard to Philippine theater and aesthetics. Notable performances with Tanghalang Pilipino include Rhoda in Layeta Bucoy's Walang Kukurap (2012), Celia in Onofre Pagsanjan's Doon Po Sa Amin (Our Town), Ate Karina in the musical, Sandosenang Sapatos (2013), Maria in Josefino “Chino” Toledo’s San Andres B: The Opera (2013); and Portia in Rody Vera’s Der Kaufmann (The Merchant of Venice/Ang Negosyante ng Venecia) where she won “Outstanding Female Lead Performance in a Play” during the 2013 Gawad Buhay: The PHILSTAGE Awards for the Performing Arts. Regina De Vera was “The Face of Cinemalaya 9: Cinesthesia,” the poster girl of Cinemalaya 2013. Aside from acting, Regina hosted the 9th Cinemalaya Philippine Independent Film Festival Awards Night (2013) as well as the opening ceremonies of the 4th National Theater Festival (2012). She has also done cultural work using theater as a medium against HIV for UNICEF (Pasay Communities) and theater for development in a Post-Haiyan context for the World Health Organization (Eastern Samar). Regina is currently an MFA Drama student at The Juilliard School. Her first year of studies was made possible through a crowd-funding movement called #GoFundRegina covered by over 250 donors from different parts of the world, mostly from the Philippines. She is the first Filipino to be admitted into the MFA program of the school's Drama Division. 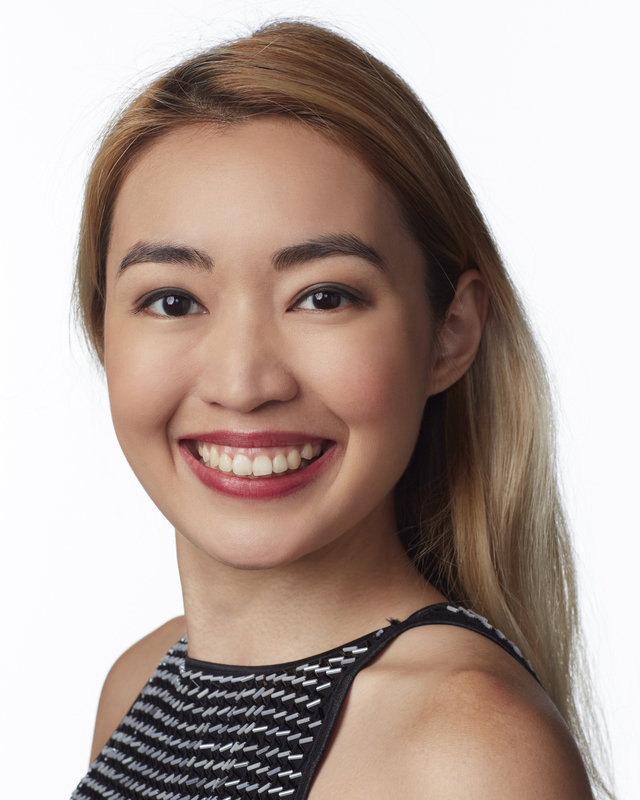 To learn more about Regina, read her interview at The Juilliard School's "Eye on Culture" blog here. The Philippine Legitimate Stage Artists Group (PHILSTAGE) is the only alliance of professional performing arts organizations in the Philippines. Outstanding individual and group achievements in various artistic and technical aspects of play, musical and dance productions and performances are honored based on quarterly citations deliberated by the jury who are required to watch all productions of Philstage member-companies for the entire year. From the four quarterly citations, the jury selects the final nominees qualified for the Gawad Buhay! Awards. The Gawad Buhay! 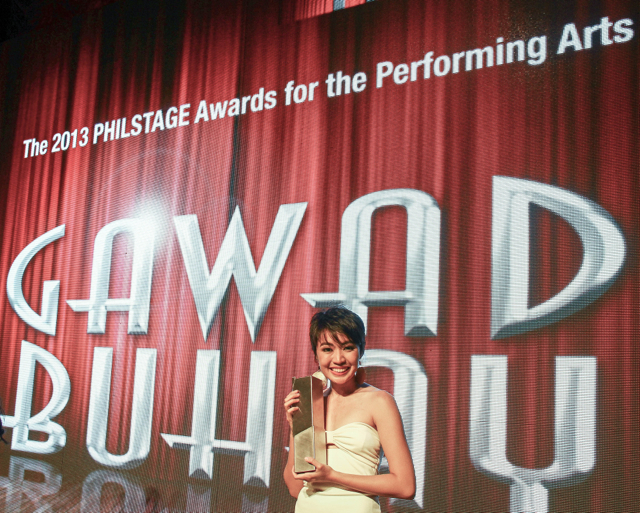 Awards is the country’s first-ever industry awards exclusively for the performing arts and it is only given once a year.